July 1st marked the official unveiling of the Bennington Mural Project’s first exterior creation of public art at 108 Union Street. 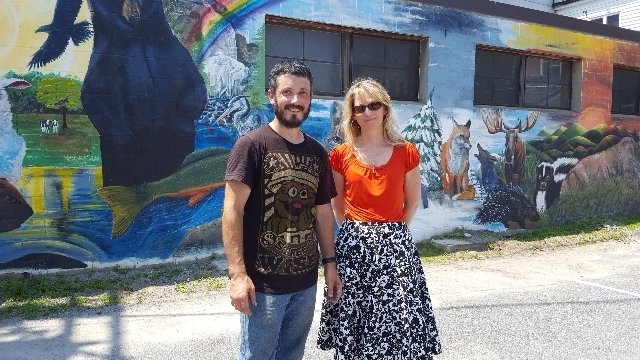 The mural, a colorful nature-scape spanning the length of the rear façade of a low slung commercial building, moves from dawn to dusk and depicts thirty animals that call Vermont home. 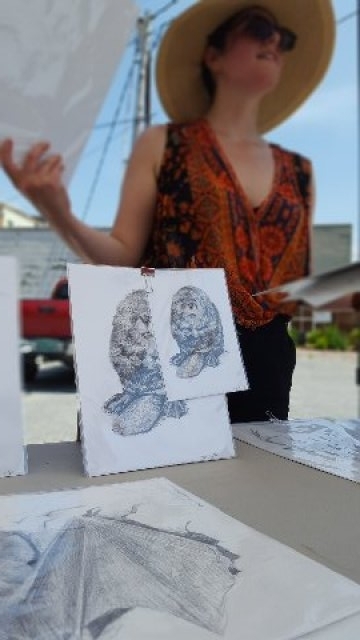 Despite the sweltering afternoon heat this Sunday, a small crowd of people gathered in the parking lot in front of the painted scene to hear Forest Byrd, the founder of the Bennington Mural Project, speak about his goals and thank the artists who helped to bring the work to fruition. 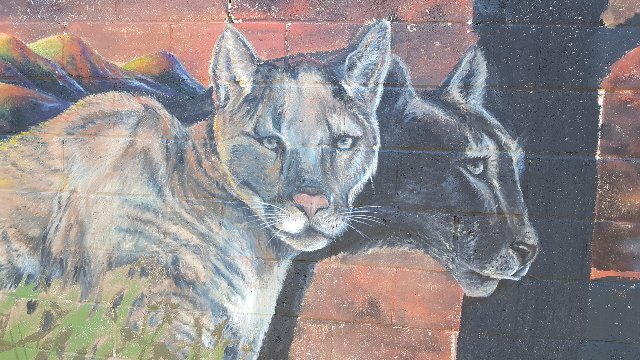 At their best, murals celebrate the culture, history and landscape of the town they adorn and can highlight regional treasures for visitors passing through. When mapping out the design, Forest thought that the "Animals of Vermont" theme would check all of those boxes. 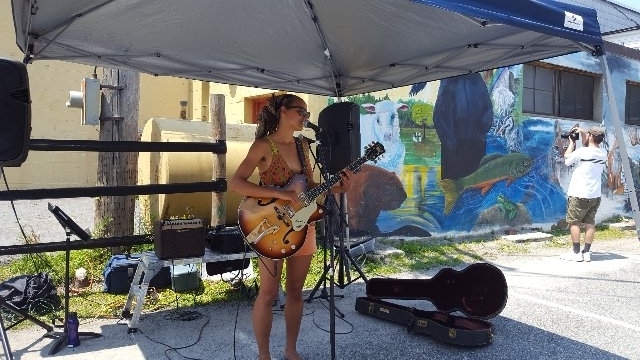 Through the Bennington Mural Project, Forest is also hopeful that downtown businesses and the municipality itself will see the positive impact of community arts projects like these and will choose to invest financially in the creative economy. “Bennington is full of artists… and we want to be able to pay them for the hard work that they do so that they stick around." It took 8 artists about 2 months to complete the project and most of them were on hand to greet their supporters and to pose for pictures with kids by their favorite animal. 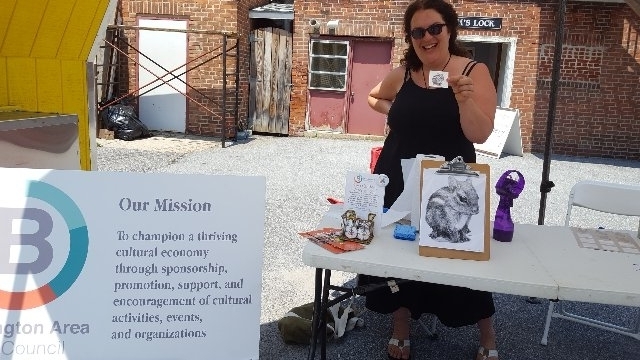 The Bennington Area Arts Council organized musical entertainment for the event and staffed a table to sell animal prints and temporary tattoos with proceeds going back to the artists. For more information on the Bennington Mural Project, visit: www.benningtonmurals.com.